“Were it not for the Navajos, the Marines would have never taken Iwo Jima,” Marine Maj. Howard Connor once said of a famous and pivotal battle. He served as a signal officer for the Marines’ Code Talker unit during the Iwo Jima campaign. The Navajo Code Talkers were not so much the silent warriors of World War II as they were the indecipherable heroes of the Japanese theater of combat. The Code Talkers, many of whom were from New Mexico, used their native language to confound the Japanese in planning battles, calling for reinforcements and transmitting requests for food, ammunition or medicine. Many military historians credit them with helping to win the war. Now one of few Code Talkers still living, state Sen. John Pinto, D-Gallup, wants to honor their legacy with a museum. 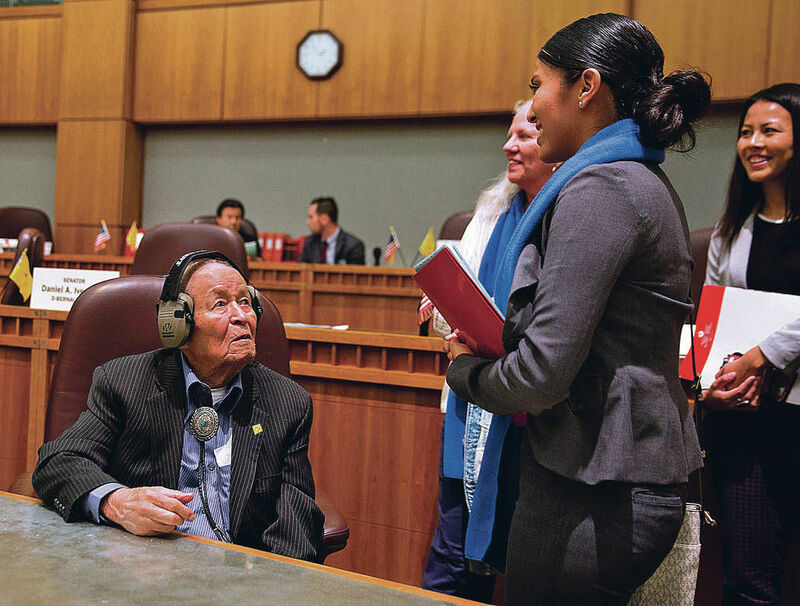 On Tuesday, he moved one small step closer to that goal after the Senate Indian and Cultural Affairs Committee unanimously voted for a bill asking the Legislature to allocate $1 million to build a Navajo Code Talkers museum and veterans center in New Mexico, near the Arizona border. Pinto, sponsor of the bill, presented it by facing an assembly of some 25 people, many of them Native Americans. 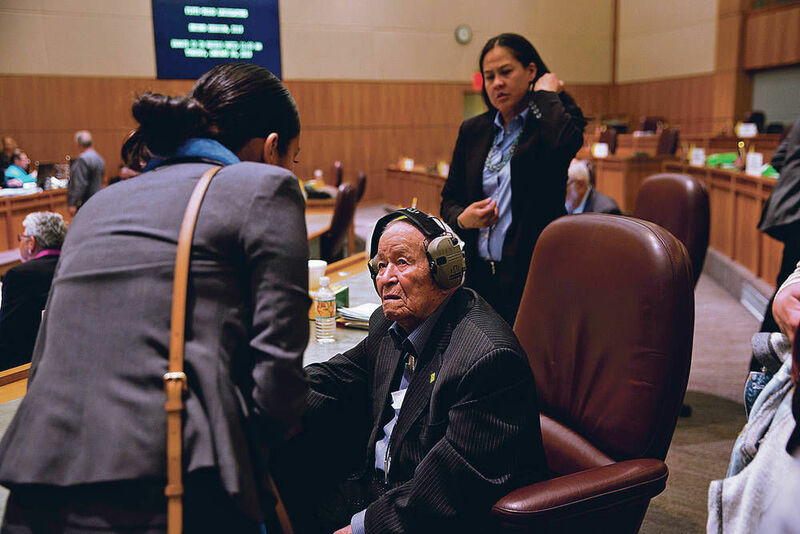 Then the senator, who estimates he is 93 years old (birthdates on the Navajo Nation often were imprecise), recounted with quiet emotion the contribution Navajos made to winning the war. His head bowed, his hands clasped together as in prayer, Pinto spoke of the Japanese aerial attack on Pearl Harbor that led to America’s entry into the war, and of the 2,335 U.S. servicemen killed in that attack. “I hope it never happens again,” he said. 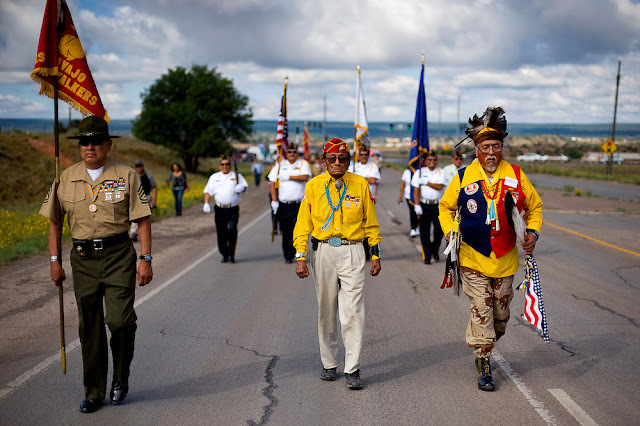 He then recounted how Navajos were recruited to join the Marines as a special unit of Code Talkers who would use their native language to confuse the enemy’s cryptography experts. The Navajo Diné language, which few non-Navajos understood, was unwritten. Code strategists devised a 200-plus word code from it. Many Code Talkers, who also took part in combat missions, died overseas and are buried far from their native land, Pinto said. Still, building a museum in honor of Code Talkers would not be easy. But the $1 million that New Mexico would invest in the planned museum is just one source of funding, said Mark Freeland, a spokesman for the Navajo Nation. 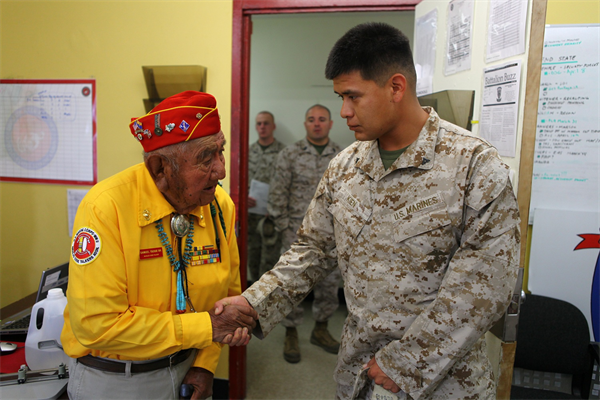 He said the nonprofit Navajo Code Talkers Foundation is also raising money for the project. 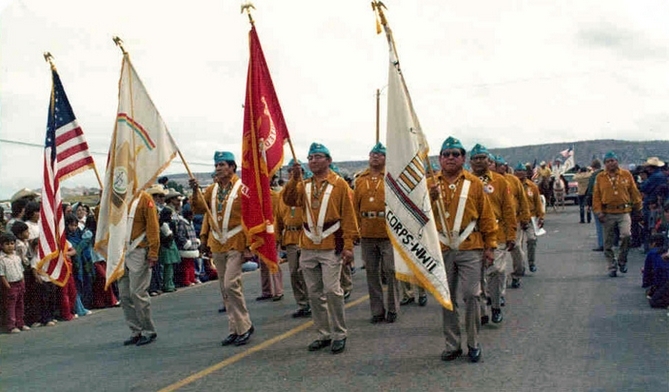 The 140-acre property designated for the museum was donated to the Navajo Code Talkers Foundation by the Chevron Mining company, Freeland told the committee. Many who attended the hearing spoke in favor of Pinto’s proposal. Some senators on the committee asked Pinto and Freeman if the museum would include information on Code Talkers from other tribes and nations, including Comanches. Freeman said that is a possibility. The bill next goes to the Senate Finance Committee. Responses to "Bill to fund new Code Talkers museum passes Senate committee "